Find out a little of the path that Oscar Bernardi, creator of the Oscar Inn Eco Resort, followed. 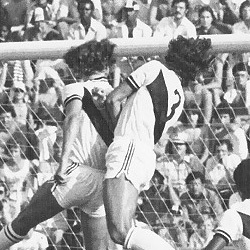 Before creating the Oscar Inn Eco Resort, Oscar Bernardi had a successful career in soccer, both on and off the field. See below his story through the main facts, arranged in chronological order. 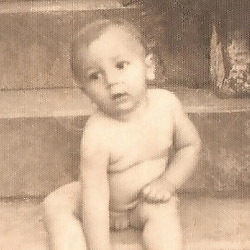 Born on July 20th 1954, in Monte Sião, MG. Since eight years old, he is one of the greatest players of Monte Sião and neighborhood. 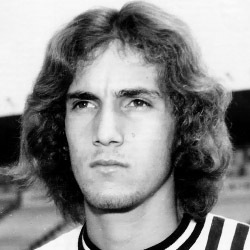 In the beginning of the 70’s, Oscar was taken by Mário Juliato to the A.A. Ponte Preta. He left the team twice because he felt homesick. 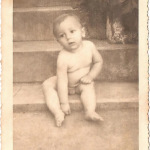 In 1971, Oscar finished high school and with parental support, he moved to Campinas. He graduated with a Physical Therapy degree from PUCCAMP. 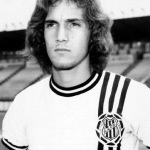 In 1972, he became a professional soccer player in Ponte Preta. 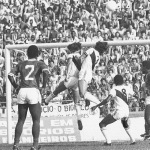 At that time, the Junior Team had been free to go home, but Oscar preferred to stay in Campinas and watch the game “A.A. 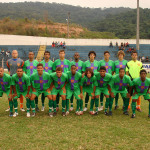 Ponte Preta vs Santos F.C.”. The Defender from the main team didn’t renew the contract, so Oscar replaced him and played a great match, becoming the number 3 of “Macaca” for eight years. 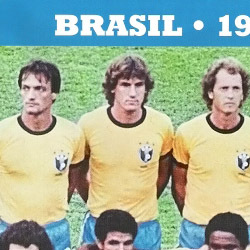 The quality he has achieved in his function resulted in his convocation to the Brazil Junior Team, winning the South-American championship in 1974. 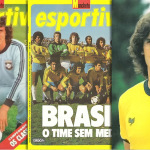 The important contribution of Oscar to the Brazilian Junior Team gave him on May 31st , 1974 the first convocation to Brazil’s National Team, to defend Brazil’s place on the eliminatory for the 1978 World Cup. 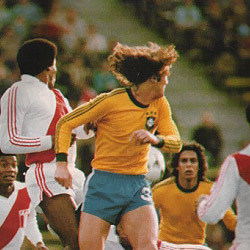 On April 1st 1978, he played as a first-string player in Brazil’s Main Team for the first time. 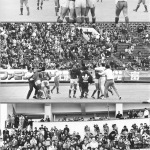 It was a match versus France. He was considered one of the biggest attractions of the team in that Cup, and was elected among the “11 best soccer players” by FIFA. 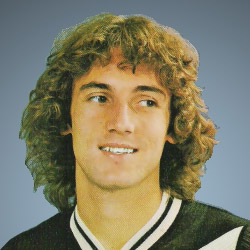 In 1978, he was considered the best of Brazil, and when he was playing with Amaral, they were considered the ideal Defenders. 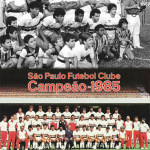 In the next “Paulistão” (championship played in São Paulo), he got the runner-up again. “When I was called, I didn’t expect much”, Oscar said to Placar magazine, in April 1979. “Going to Argentina was very good. To me, it was better than I thought it could ever be. I didn’t expect to be called to play in the Brazilian National Team.” So far, only big clubs sent players to play in the National Team. 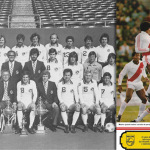 In 1979, he was sold to New York Cosmos (USA), conquering the “North-American Champion” title. 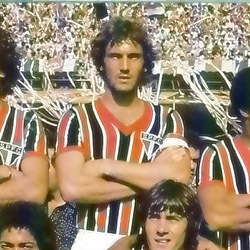 On July 23rd 1980, he came back to Brazil to defend São Paulo F.C. He was established as the captain of the team and raised the trophy. 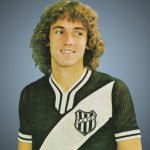 Carried the prizes in almost every match of São Paulo, until he left the team. 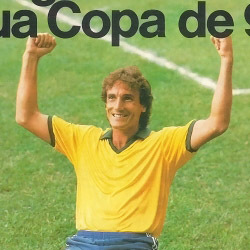 In 1981, he conquered the Brazilian runner-up and a Paulista championship, as he said he would, to Placar magazine: “We’re gonna be champions again”. The team did what Oscar said would happen, but without Oscar; he left because of a leg contusion, substituted by Gassem. 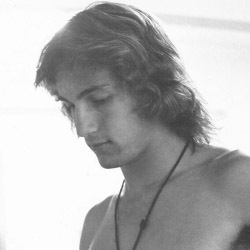 After recovering, he played in the 82’ Soccer World Cup, when he was captain of the best Team of all times. He went to Spain and developed his function without making a single mistake. 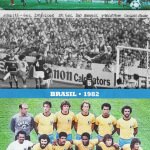 However, Brazil was eliminated by Italy in the eighth round. “Our team is superior to theirs”, lamented Oscar after the match. 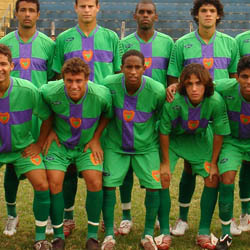 In São Paulo F.C. he conquered a new title, when he was a Paulista Champion. 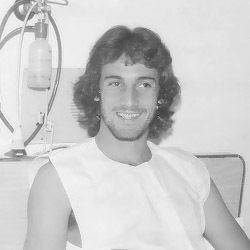 Oscar almost stayed out of the final match, because he had been sick with a gastrointestinal problem 2 days before, and in the preparation for the game he laid in a hammock all the time. 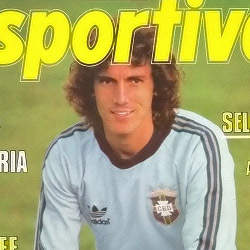 As he had recovered (but not completely), he came back to the ’86 Brazilian Championship. In 1986, he was called to the World Cup in Mexico. He stayed in the team’s bench, although he had been Team captain in all matches of that year. 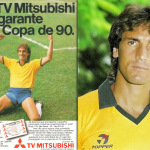 The game versus Chile on May 7th, was his last official match wearing the yellow shirt. 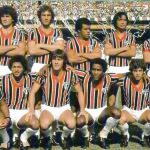 In 1987, São Paulo F.C. 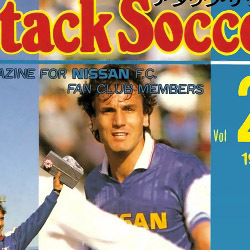 negotiated with Nissan (nowadays Yokohama Marinus) from Japan, and Oscar went to Japan. 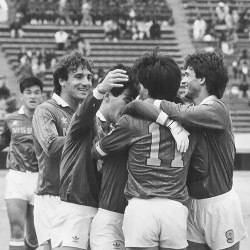 Oscar was one of the first Brazilians to play in the Japanese Soccer League, which was ready to see the popularization of the sport in the country. He turned out to be an idol in the eyes of the Japanese audience. At the end of his career, he started coaching in that country. When he was 33 years old, playing in Japan for 2 years, he changed his function. He was invited to be Nissan’s coach, and accepted. Nowadays, soccer is one of the main sports in Japan, but Oscar says that when he arrived in the country, the sport was still very amateur. 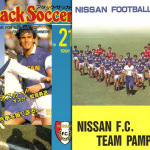 The players usually worked at Nissan and practiced in the afternoon. “Zico came four years later, I was already coming back. He came only in the good days, the hard days had already passed.” Oscar jokes. 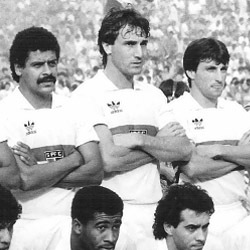 In 1990, he was invited by Telê Santana to support São Paulo F.C. for a year, and accepted. In 1992, he coached “A.A. 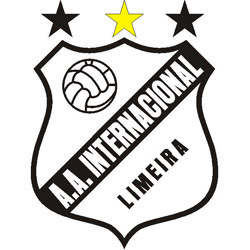 Internacional de Limeira” for 3 months, and in the same year he took leadership of the Guarani F.C. for the Paulista Championship. In 1992 , he also landed for the first time in Arabic fields to coach Al Hilal, from Riad. “It is a big team, one of the main, and it has great audience” he said. At that time, he replaced Candinho, who was leaving the team to coach the Saudi Arabia’s Official Team. 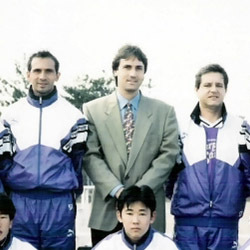 He coached Al Hilal for three times, in 1992, 1993, and 1995. 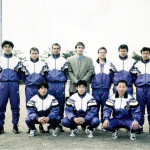 In 1996, he returned to Japan, this time in Kyoto, when he coached Kyoto Purple Sanga for one and a half years, conquering the Championship title. 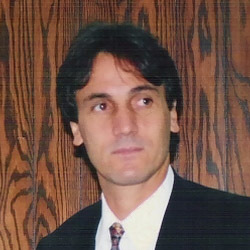 In the beginning of 1997, he coached Cruzeiro in five matches. In 1998, he went back to Saudi Arabia to coach Al Shabab, also from Riad. In 2001, Oscar landed in Arabic soil one more time to coach Al Ittihad, where he stayed until May 2003. 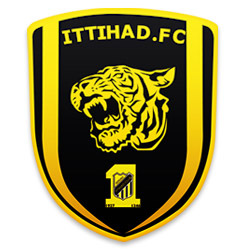 In the team, he conquered the titles: Champion of International Cup Egypt-Arabia, Champion of National Arabian League, Champion of National Crown Cup, Second Place of National Arabian League and Second Place of National Crown Cup. Curiously, Candinho replaced him after that. Oscar Bernardi created his own business, the Oscar Sports. Always worried about following the evolution of the sports market, Oscar became a FIFA Agent (CBF) to be able to take care of his athletes’ carrier (that trained in his own training center), according to the Law 9615/98 – Pelé Law. 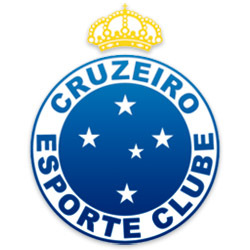 Aiming to integrate with the professional soccer, the Oscar Sports established in January 1st 2007, the Brasilis Futebol Clube Ltda, team representing the group in Official competitions.